Spring break and bikinis are only two months away, so it’s time to learn how to dry brush. You can incorporate all the benefits below into your beauty routine with just a little bit of time and one simple tool. What is dry brushing? It’s a practice loved by skincare professionals, spas, wellness enthusiasts, granola celebrities (Goop is a fan), and soon – you! Dry brushing is the use of a soft but firm natural-haired brush in upwards and circular motions against dry, bare skin. The whole process takes about three minutes depending on which body parts you focus on, and is best completed before a shower in the morning. Exfoliation. No doubt about it, dry brushing will exfoliate your body’s skin like no other method. This is especially beneficial when applying self-tanner or before a spray tan (hello bikini!). Stimulates lymphatic system and improves circulation. 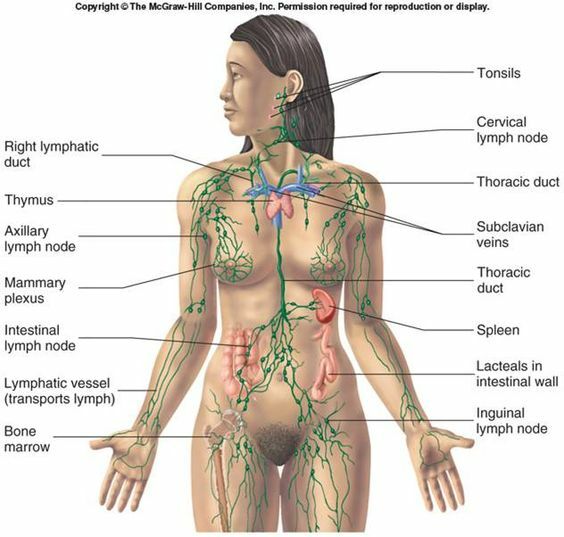 What the hey does the lymphatic system do, you ask? It’s a network that helps rid the body of toxins and waste. Lymph is actually a fluid, which is transported by the lymphatic system flowing naturally upward in the body, and it’s full of infection-fighting white blood cells. Stimulate the lymph system and you stimulate your blood flow and immunity! Reduces the appearance of cellulite – temporarily! An immediate and temporary effect of dry brushing is smoother skin – think of it as an invigorating massage for those trouble spots. The pressure plumps the skin and stimulates circulation, giving it a more even appearance. Improves digestive health. Massaging the lymph system helps the body shed excess water (bloating) and toxins, along with helping move your digestive system along. Bonus points if you follow up with a cup of hot water and lemon (a jump starter to digestive health). Invigorating. Who doesn’t want more energy without adding energy drinks or more coffee to their diet?! You can dry brush any time of day, but you’ll reap the most out of the energy it gives you if you do it in the AM. Cheap! Our favorite dry brushes can be found at Target for $5.99, The Body Shop for $10.50 (this one has a long handle so you can reach your back easily), and Amazon for $15.75 (this is a set of three so you can go ham). You can also find natural bristle dry brushes at any health store, like Whole Foods. Start at the feet (don’t forget the bottoms! ), and brush your skin in an upwards and circular motion, always toward the heart. Pay special attention to rough areas like the knees, elbows, and cellulite-prone areas like the backs of thighs and rear end. If you have any areas with eczema or psoriasis, skip them! No need to irritate those sensitive areas further. Note that the skin you do dry brush may be pink afterwards, but it shouldn’t hurt. If it does, apply less pressure. If you want to dry brush your stomach, move the brush in gentle circular motions there. Don’t forget your hands and armpits! You can dry brush your décolletage and face, but getting a smaller, smoother brush for those areas is advised (see Amazon set here). If you’re new to the practice or just want to try it out, it’s fine to skip those areas for now. Once you’ve hit all the spots you want to, jump in the shower to wash away the dead skin cells. Moisturize. Hit up your favorite moisturizer (we like Soap and Glory’s The Righteous Butter) afterwards, give yourself a pat on the back, and you’re good to go! Have any of you tried dry brushing before? Who’s going to give it a try? Let us know in the comments!